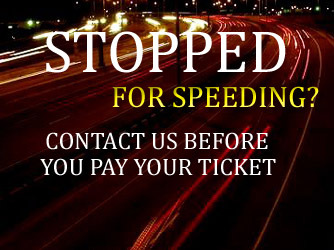 You need the attorneys at Kreps Law Firm if you live out of state and charged with speeding, reckless driving, running a red light or stop sign, or speeding 25 over in Trussville, Alabama.We want to help you get your case dismissed, reduce the charge to a lesser offense, and keep court costs and fines to a minimum. If you received a summons to appear in court, and the judge approves, then we can appear in court on your behalf with an affidavit to appear for you. Call Kreps (866) 348-2889 or CLICK HERE and let us fight your Trussville, Alabama traffic charge.